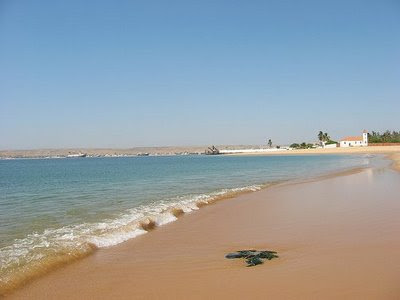 The Beaches of Benguela: Angola´s best “Must Visit” seaside locations. The beaches around Benguela have always been places where people go to relax and get away from it all. I am one of them because I love all that the region has to offer. Benguela sits 700 kilometres south of Luanda, the Angolan capital. It was founded by the Portuguese in 1617 and is a former slave port. Having been spared the worst of a bloody civil war that reduced other inland towns to piles of smouldering rubble, Benguela is very picturesque. It has a charming mixture of low-rise apartment blocks on streets made beautiful by Benguela’s famous crimson acacia trees. In Benguela, Angola’s cultural capital, African traditions are strong. The sense of history is palpable, but the real highlight of this diminutive regional capital is not its paint-peeled colonial architecture. It is the people. Benguelans are open and gregarious, with an infectious spirit. Then there are the beaches: Praia Morena (Brunette Beach), Praia da Caota, Praia da Caotinha, Praia da Baía Azul (Blue Bay Beach) and Lobito. Each has its own flavour, and all are worth visiting. Praia Morena (Brunette Beach) runs a length of more than 1000 kilometres and is a favourite of romantic couples. It begins its expanse in the lower part of the city, close to the government buildings and hotels. Praia da Caota is a much smaller beach, extending only 400 meters. Lying only 10 kilometres from the city centre. Its terrain combines sand and rocky terrain. With waters that are very clear and calm, it is recommended spot for those interested in underwater fishing. With a similar name Praia da Caotinha lies 26 kilometres from the city centre. With an even smaller expanse, a mere 150 meters, its seclusion makes it somewhat more private. Praia da Baía Azul is a very picturesque location. This beach, adjacent to the Bay, gets its name (Blue Bay) from its blue waters . It runs for 3 kilometres and is considered the “mother” of beaches in the area of Baia Farta. If you require a beach with extreme ease of access consider Lobito. Located right in the city, the beaches of Lobito are close to the residential areas. These include Restinga, Cabaia and Compão. Wondering about where to stay? Consider visiting the Hotel Praia Morena. This 3 star Hotel has a very welcoming atmosphere. It offers its clients a variety of services including a gym, beauty salon, spa, two swimming pools (including the one for children). Rooms are very comfortable, with nice views of various parts of the city. It is located near the entrance to the city allowing easy access to the beaches and other locations of interest. Go snorkelling and / or fishing. As for me, when I can get away from work I like to take a barefoot walk along the beach while the sun sets. The setting sun is something I could watch every day. It is never quite the same.